My guess is she’ll be laying eggs soon. It’s been a few years since I’ve seen one of these. It’s an Eastern fence lizard (Sceloporus undulatus), and they are the lizards I used to catch by the score on summer “lizard hunts” with my grandpa. 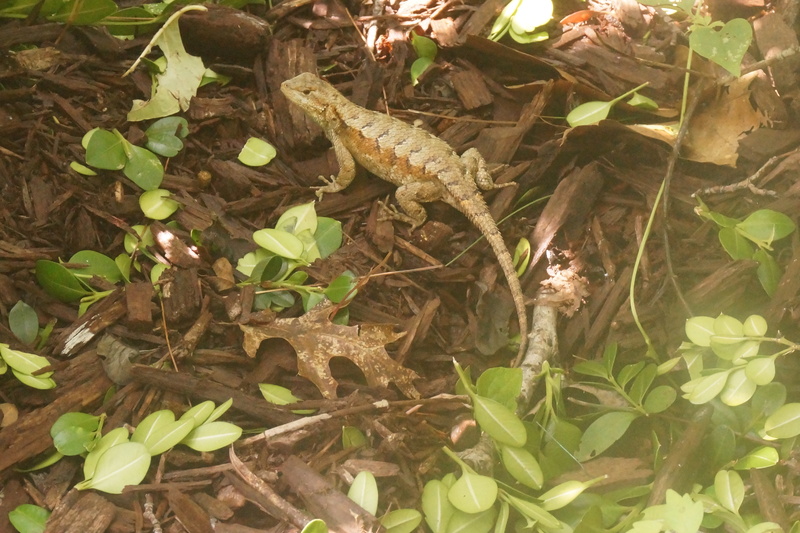 In West Virginia, the local name for this lizard is “hellhog,” which is only the coolest name for an animal ever. The lizard appears to be a gravid female looking for a place to lay some eggs.